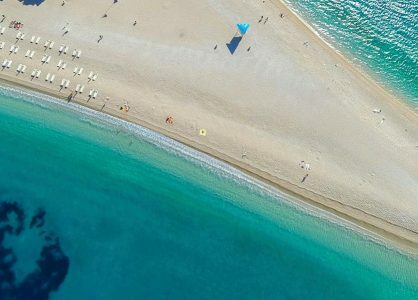 Have you ever seen images of a beautiful amphitheater in ads about Croatia? This amphitheater is the Pula Arena, a place where gladiators used to fight to entertain Roman Emperor Vespasian and about 20.000 other spectators. 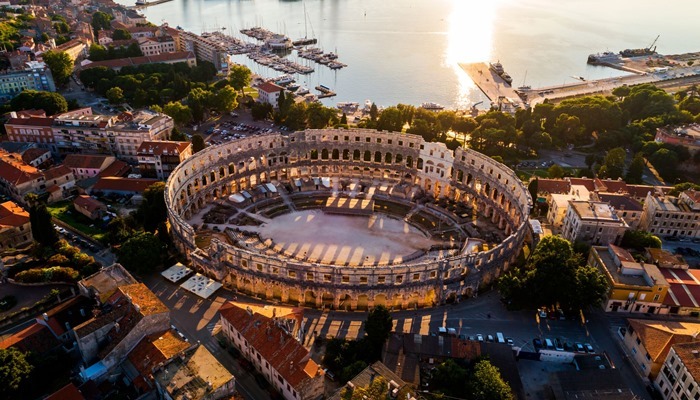 After the Roman era was over, the amphitheater continued to play an important role in the life of Pula’s residents. During the Middle Ages, knights held their tournaments there and local farmers sold their produce at fairs and markets in the arena. Today, the arena is used for concerts and film festivals. Joe Cocker, Sting, Simply Red, Seal, Elton John, Luciano Pavarotti, Andrea Bocelli and many more celebrities have performed in the Pula Arena. Apart from the arena, you will find lots of other impressive Roman ruins here as well, such as arches, temples, gates and forums. Pula is a great place for a two-centre holiday, and also as a base for exploring Istria, because of the excellent connections to other towns and villages. Many famous wine tasting routes start in Pula, and it is also very easy to take a day trip to Venice from Pula by ferry. Pula’s coast is dotted with well-maintained pebble beaches and plenty of natural rocky beaches. Bars and restaurants along the coast can easily be reached from the 4km long seaside promenade called the Lungomare. If you want to go swimming in a quieter location, consider going 10km south to Cape Kamenjak, a remote area with 30km of coastline, untouched nature, crystal clear sea and so many little bays and coves that it will be hard to choose where to put down your towel and dive into the refreshing sea, straight from the cliffs. Once you are used to so much peace and quiet at the beach, you will want nothing else. Luckily, the second destination of your twin-centre holiday in Croatia, Rovinj, also has plenty of quiet beaches to offer, such as in Zlatni Rt nature park, just 3km from the old town. 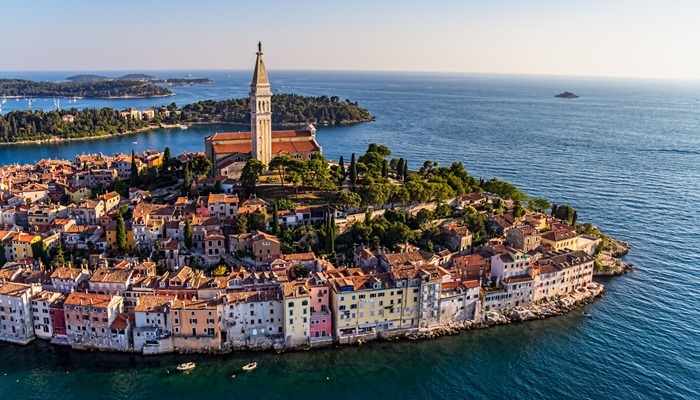 Rovinj is probably the most picturesque Istrian coastal town you will encounter, thanks to its beautiful old center located on a car-free peninsula. 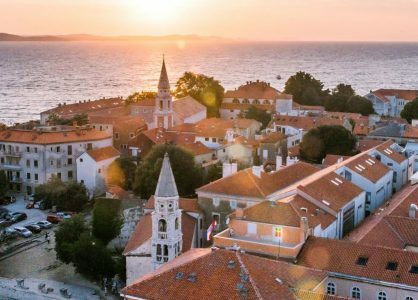 Often called the ‘Jewel of the Istrian Peninsula’, here you will find all those typical Mediterranean and Venetian elements, such as narrow cobble stone streets, old pastel-colored houses with red roof tiles, elegant piazzas, traditional taverns and a lively port filled with fishing boats and yachts. The town’s famous landmark is the Church of St. Euphemia, a beloved saint who is believed to have been only about 14 years old when she died a martyr’s death in an arena similar to the one in Pula, in 303AD. She is buried inside the church in a marble tomb. Art lovers will enjoy the Grisia neighborhood in Rovinj, where local artists show and sell their work. The winding streets of this neighborhood lead all the way up to the Chuch of St. Euphemia. For a small fee you can climb the church’s bell tower. The wooden stairs might make those who are afraid of heights feel a little uncomfortable, but the climb is well worth it, as the view is absolutely stunning. The pristine beauty of Rovinj’s coastline is another reason why people love to spend their holiday here. The indented coast offers more than just beautiful beaches. You will find dense forests here as well, including two park forests with plenty of paths for walking and cycling, an ornithological reserve, interesting caves and not to mention the Lim Fjord. The fjord is a 10km long sunken canyon valley, filled with brackish water, which makes it a perfect place for fish and oyster farms. If you like sea food, you should definitely try some oysters from the Lim Fjord. We recommend restaurant Viking, one of few restaurants near the fjord. They also offer amazing dishes prepared with Istrian truffles, homemade pasta and other Croatian delicacies. 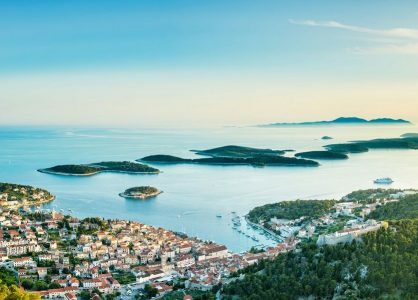 So whether you like good food, beaches, culture, nature or history, a Croatia twin-centre holiday in Pula and Rovinj is always a good choice.